The rich musical heritage of New York City will be explored and celebrated by the Carroll University choirs on Saturday, March 1, 2014. WAUKESHA, WIS.—The rich musical heritage of New York City will be explored and celebrated by the Carroll University choirs on Saturday, March 1, 2014. Concert Choir, Vocal Collective, Women’s Ensemble, as well as Jazz Ensemble will perform at 7:30 p.m. in Shattuck Music Center, 218 N. East Ave., Waukesha. This themed event sets the stage for Concert Choir’s April 2014 performance in Carnegie Hall. It is free and open to the public. The concert will include jazz compositions by Duke Ellington, Leonard Bernstein’s “New York, New York” (from “On the Town”) and “I want to live,” by contemporary New York composer David Lang. It will explore the urban experience through Eric Whitacre’s “little man in a hurry,” feature poetry by New York poets Sara Teasdale and E. E. Cummings, and pay homage to the Big Apple through pop songs, including Billy Joel’s “New York State of Mind” and Kander and Ebb’s “New York, New York.” Additionally, Carroll University will premiere a new work composed by Paula Tillen, a 1980 graduate. Concert Choir and Vocal Collective are led by Seth Houston, director of choral activities. Women’s Ensemble is directed by Paula Tillen. The choirs will be accompanied by Rhonda Kwiecien, pianist, and Jazz Ensemble, directed by Pete Lange, a music teacher at Catholic Memorial High School. For more information, contact the Carroll Music Office at 262.524.7182 or smeyer@carrollu.edu. 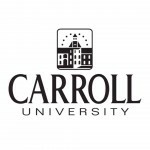 Carroll, Wisconsin’s oldest four-year institution of higher learning, is an independent, co-educational comprehensive university grounded in the liberal arts tradition. Incorporated in 1846, it offers bachelor’s degrees in 57 majors and master’s degrees in business administration, education, exercise physiology, graphic communication, nursing, physician assistant studies and software engineering, as well as a clinical doctorate in physical therapy. For more information, visit www.carrollu.edu. Dead Man’s Cell Phone will be performed Friday, March 27 at 7 p.m. and Saturday, March 28 at 2 p.m. and 7 p.m. The concert will take place at Carroll University’s Shattuck Music Center, 218 N. East Ave., Waukesha, at 4:00 p.m. on Sunday, February 8.